Chris Roberts says he has no interest in handing Star Citizen over to a big company with deep pockets, and with $41 million in crowdfunding he doesn't need to, either. The backlash against Facebook's acquisition of Oculus VR was swift and sustained, particularly among Kickstarter backers, many of whom felt betrayed by the move from "indie darling" to "big money machine." That inspired Chris Roberts, the man behind the most successful video game crowdfunding effort of all time, to assure his supporters that Cloud Imperium Games isn't looking for a similar deal. That's not to say that he doesn't understand why Oculus VR did what it did. "In order for the Rift to succeed, it really needed a lot more funding than it has raised from its past two VC rounds. Hardware is expensive," he wrote. "It's one thing to perfect the technology, but before you can sell a single Rift, you need to spend hundreds of millions on manufacturing and building a supply chain if you intend to make the Rift (and Virtual Reality) relevant for the mass market." Nonetheless, he went on to state that he's not looking for a similar deal for Star Citizen. "We have no plans nor interest in following this path! We don't need to go to anyone with deep pockets to make OUR dream a reality," he continued. "To mass-produce hardware like the Rift, you need an outlay of hundreds of millions of dollars. Luckily our ships are digital so we have hardly any cost of goods, just the cost of developing the universe of Star Citizen and running servers that Star Citizen's universe will be simulated on. Thanks to the generosity of the Star Citizen community we have these two things covered." 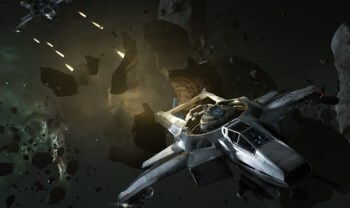 That's putting it mildly: Roberts also announced that Star Citizen crowdfunding has hit $41 million, which will allow the studio to begin begin working on advanced procedural generation "to help build the universe out in a greater detail and scope in ways we didn't think possible when we started developing the game."